The Wall Street Journal. ©1999 Dennis Brock. For more than two decades, Ann Fishman has been at the forefront of major generational trends. 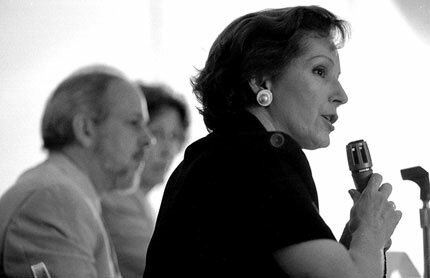 Receiving four U.S. Senate Research Fellowships, she introduced America to lifelong learning and intergenerational mentoring by creating Senate Information Papers, national workshops, and Federal legislation. In 1995, Ann founded Generational Targeted Marketing, which has provided generational guidance to some of the country’s best and best-known companies, large and small. She has also worked extensively with the U.S. government. Ann is a former Adjunct Professor at New York University. A press kit containing more detailed information can be downloaded here. Speeches. Workshops. Executive roundtables. Consulting. If your challenge has to do with people—customers, clients, donors, voters, or employees—there is probably a generational solution to it. Our work most often relates to the misunderstanding that executives may have about other generations, and sometimes their own.